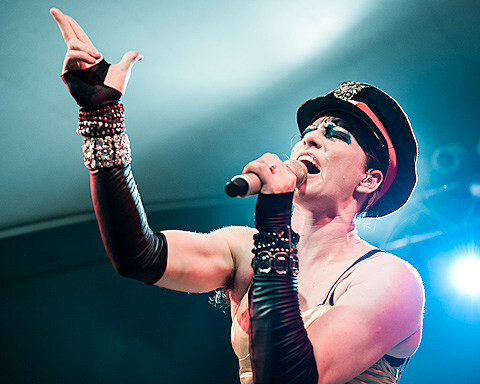 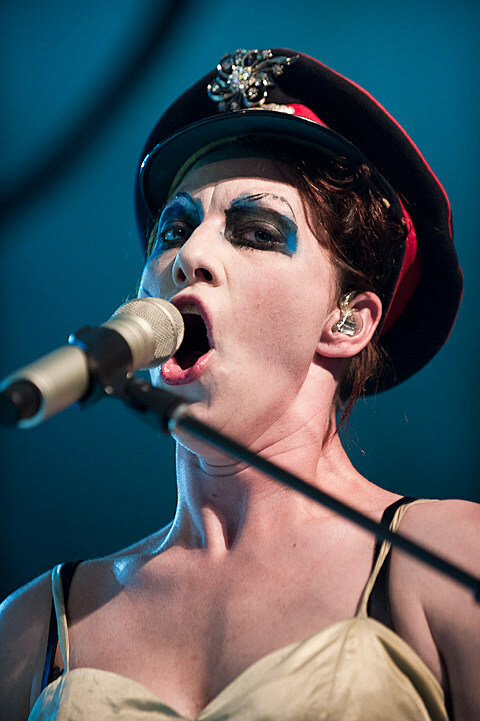 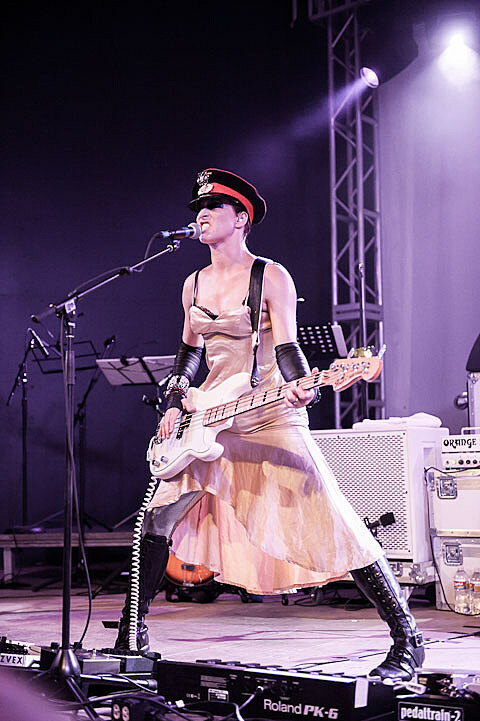 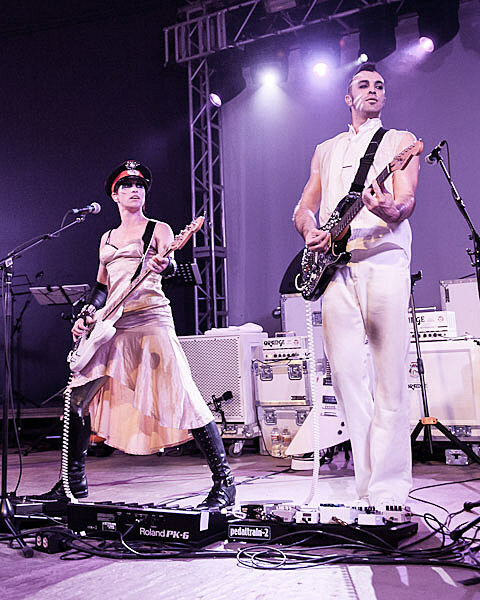 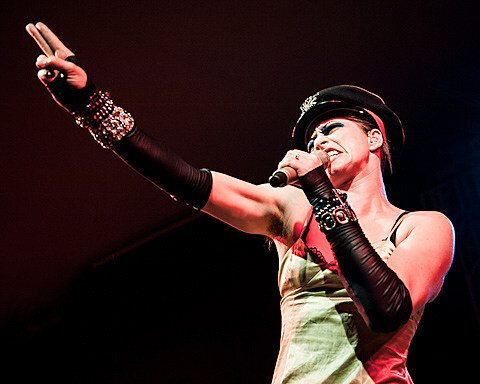 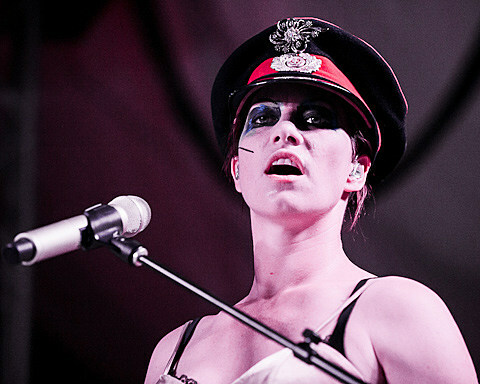 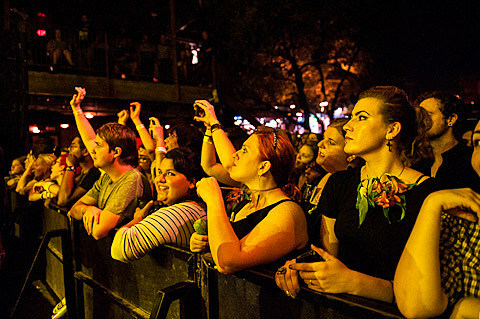 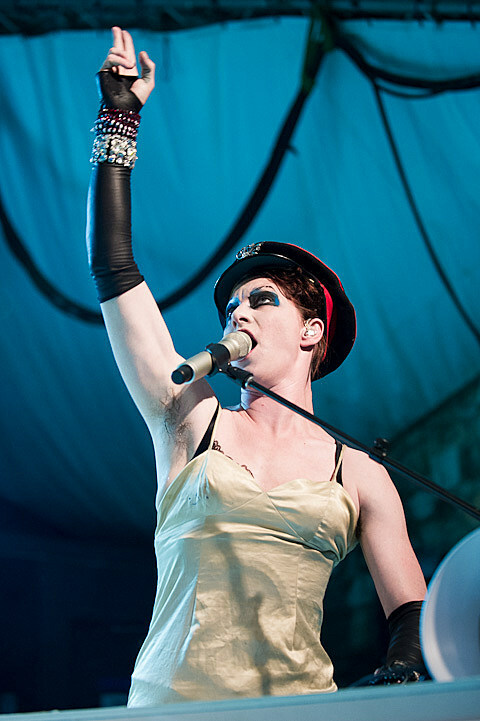 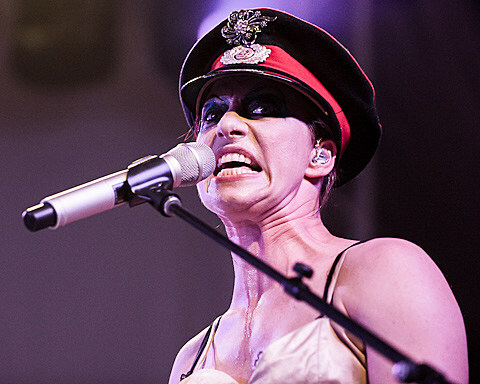 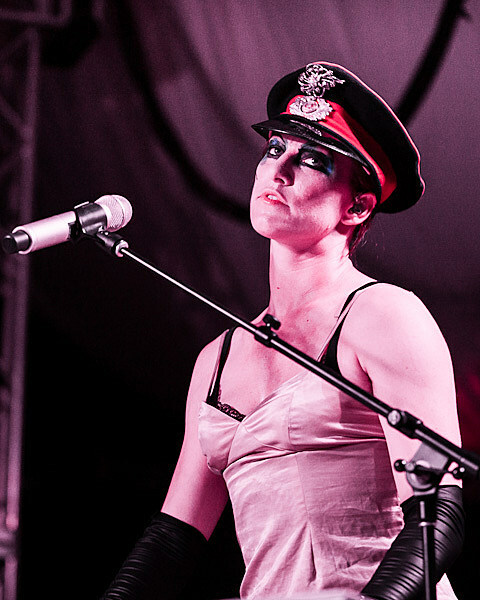 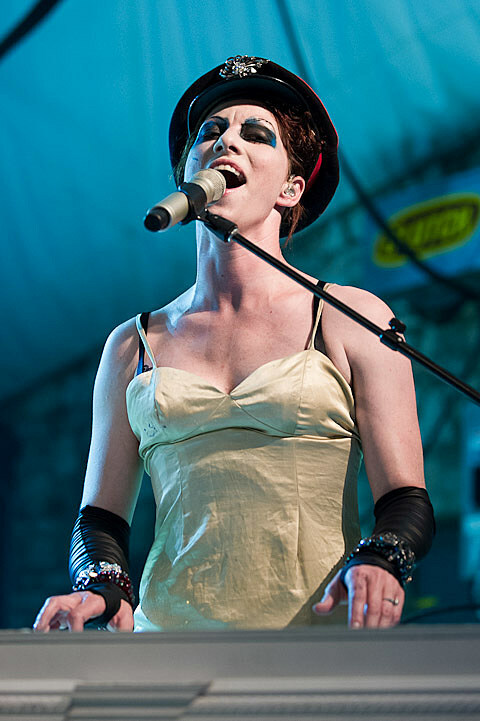 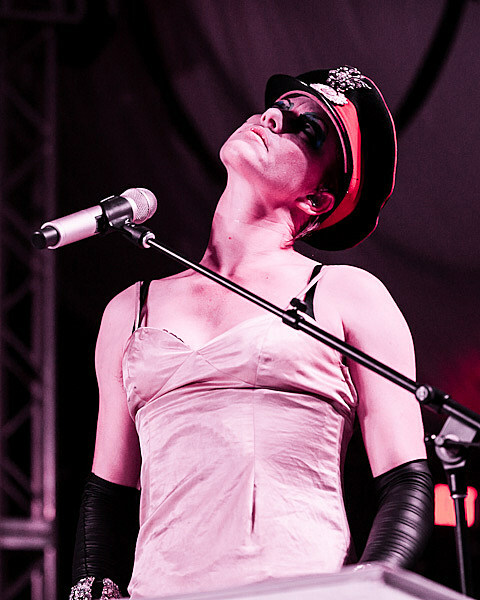 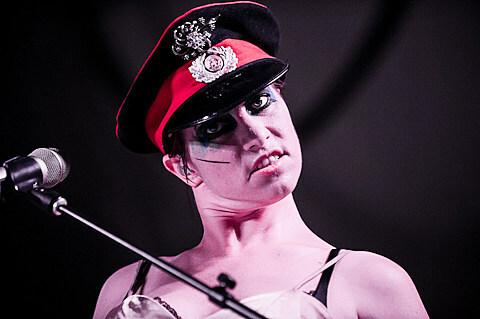 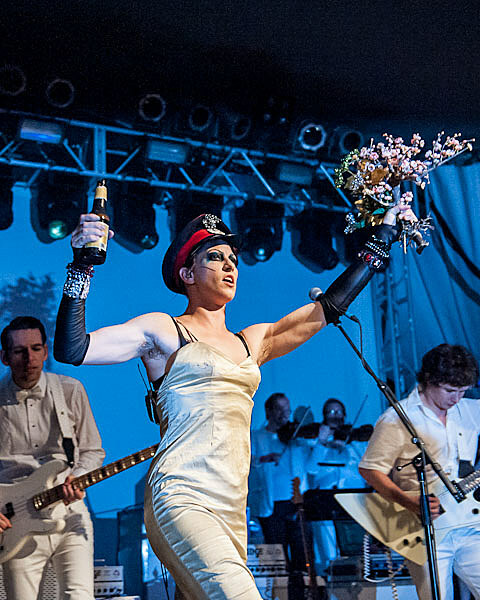 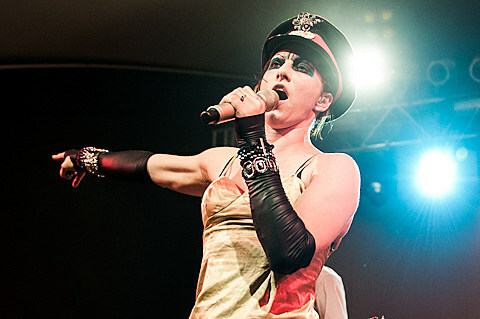 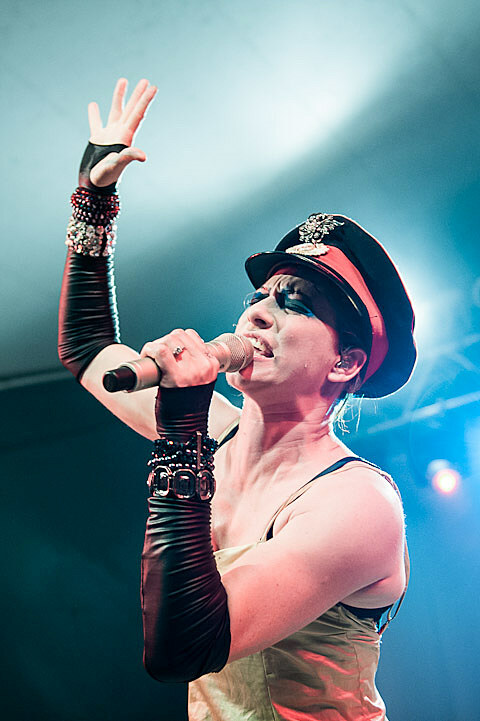 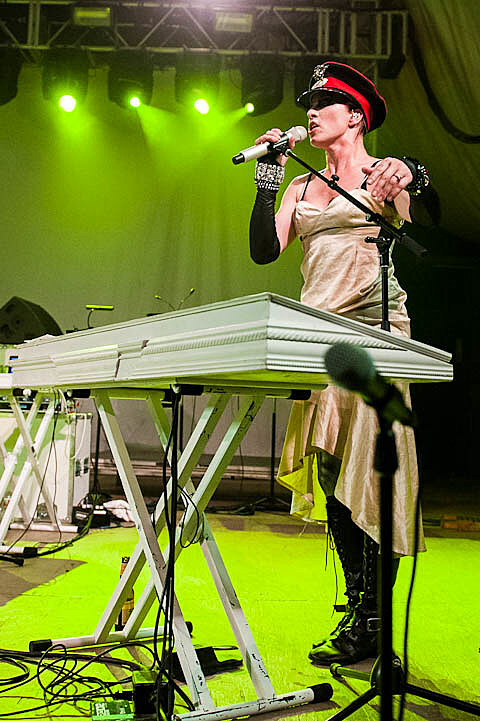 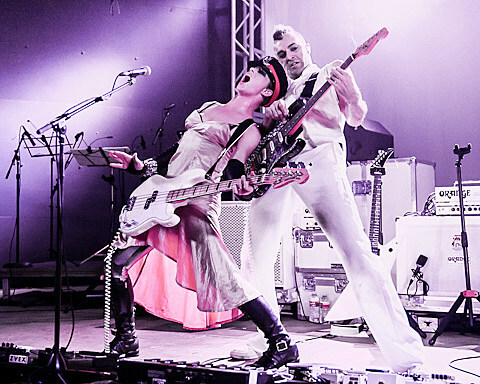 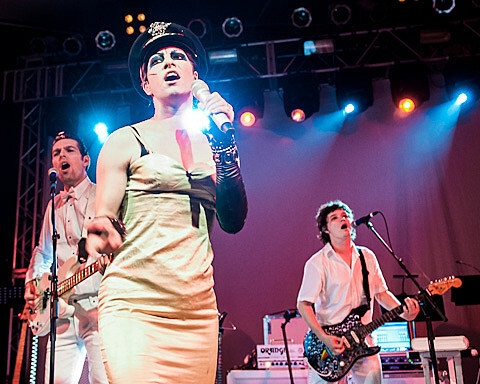 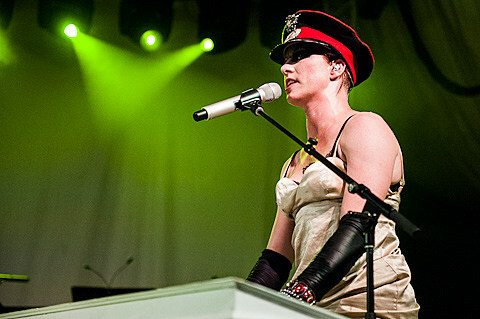 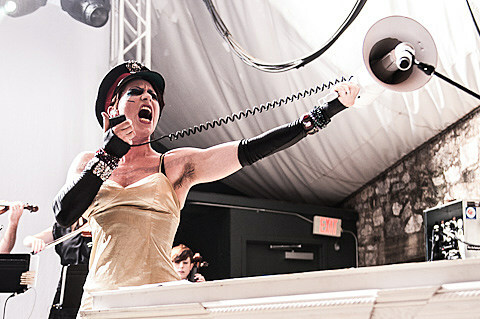 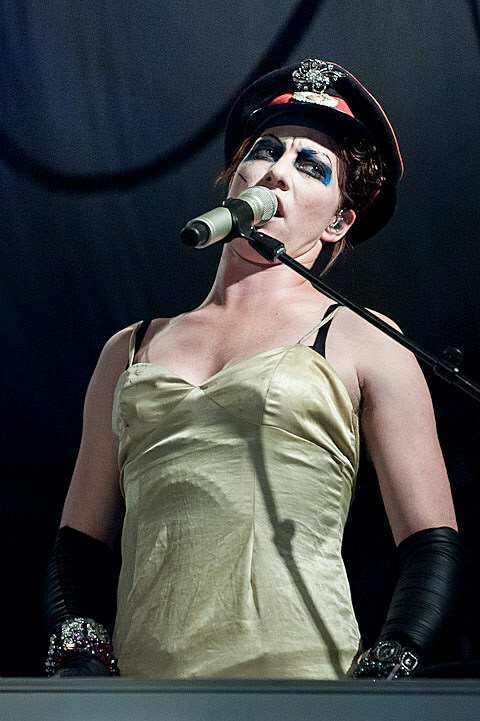 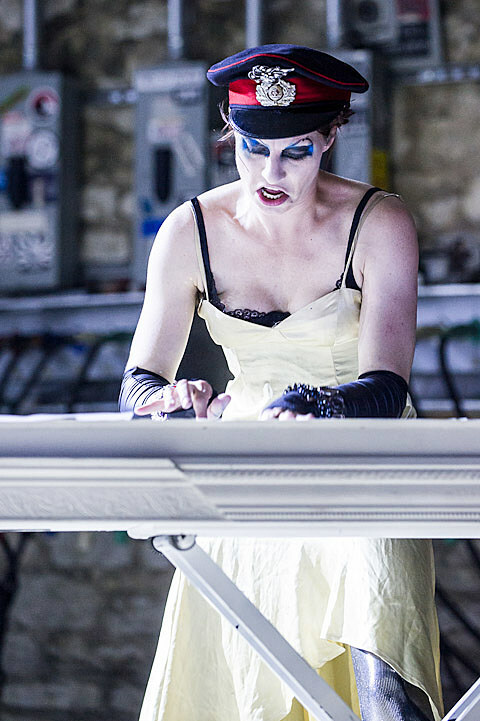 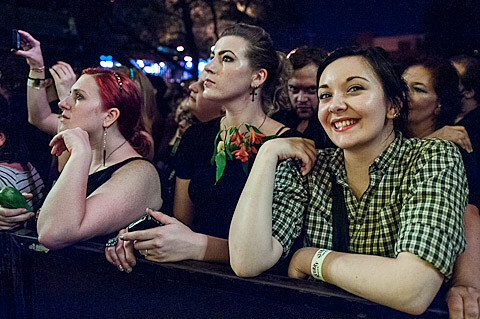 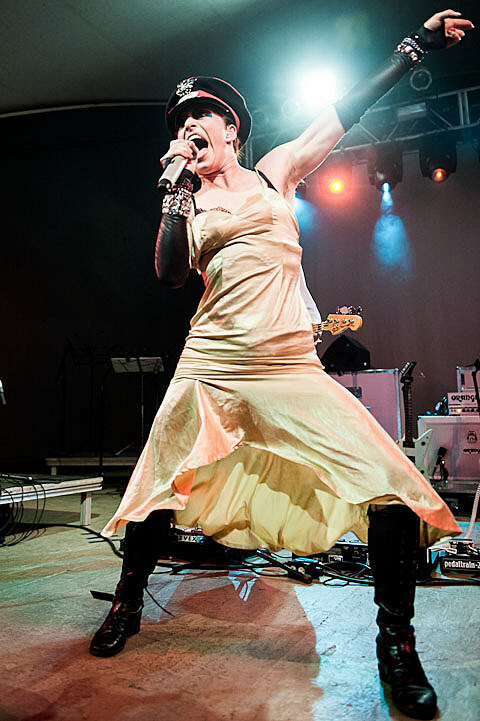 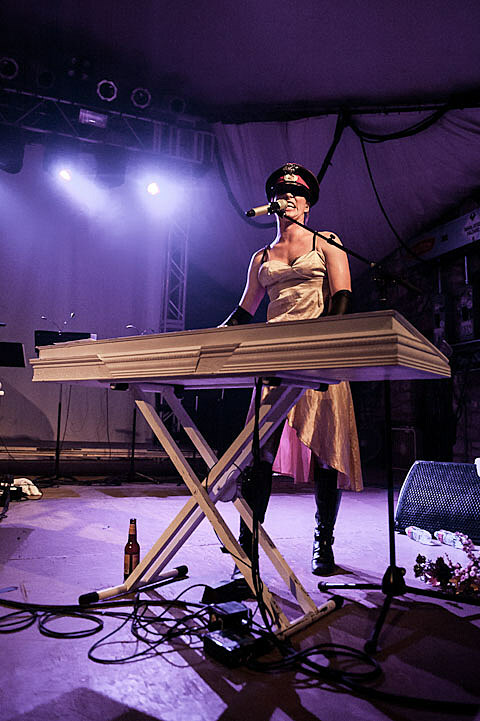 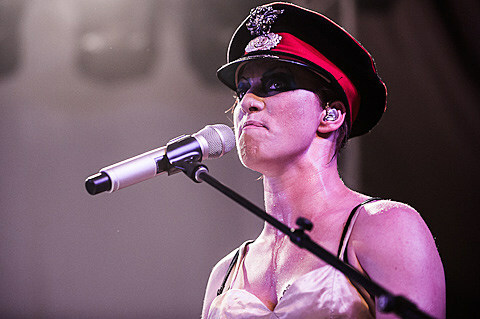 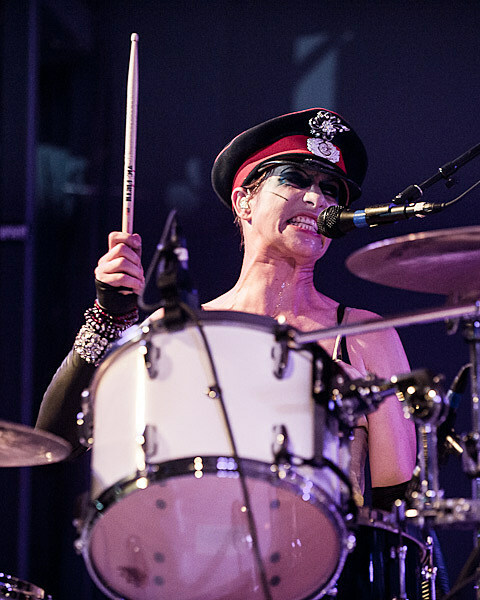 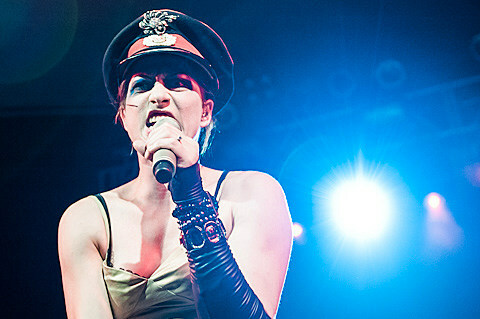 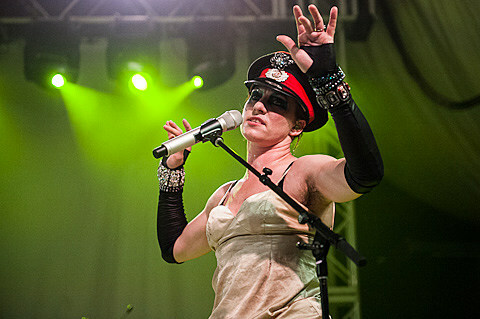 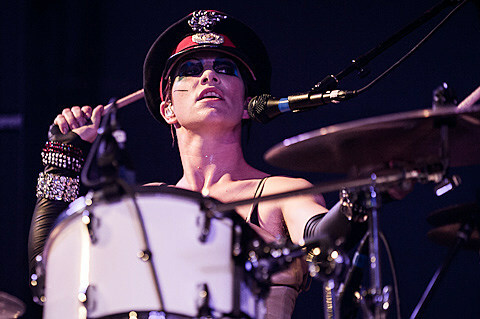 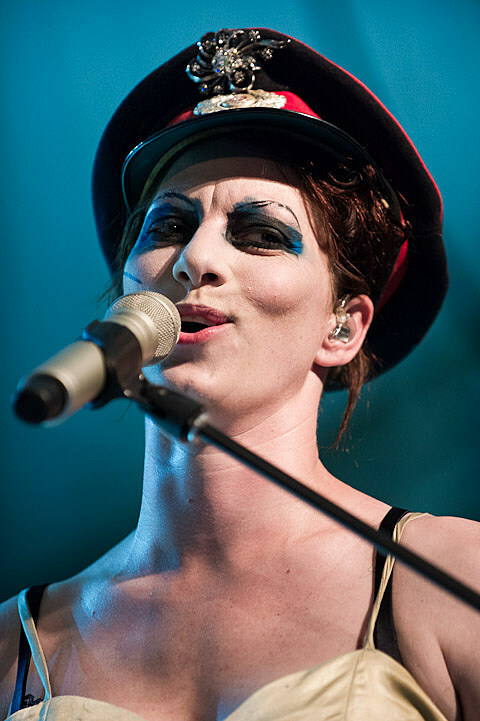 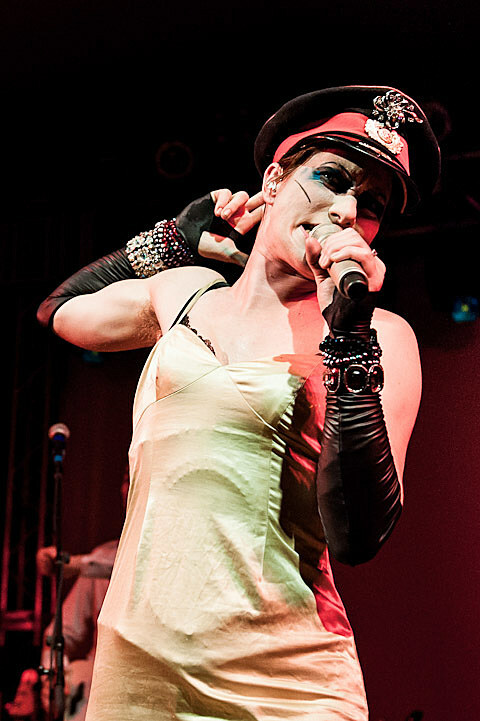 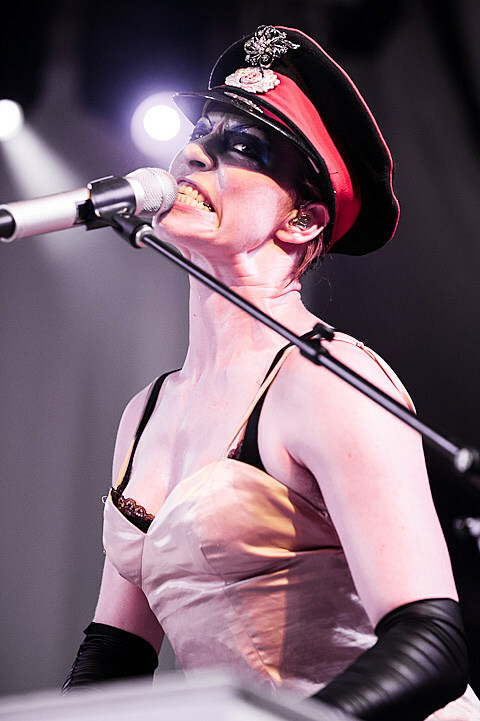 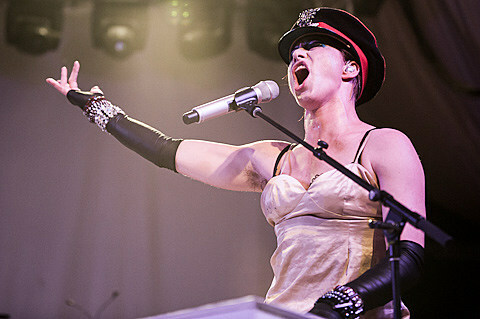 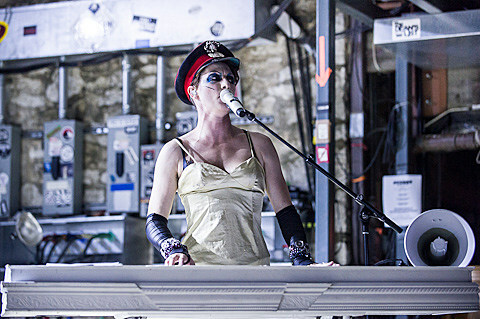 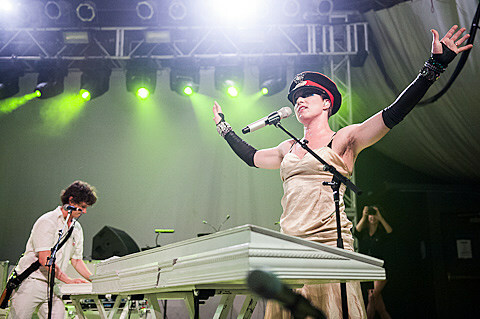 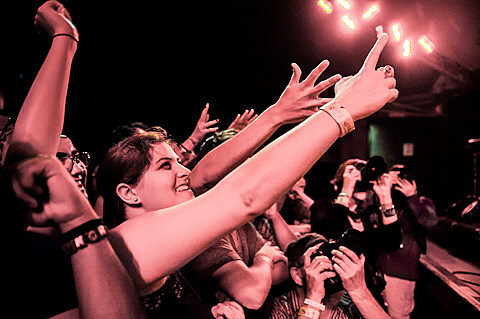 It’s been a great and interesting year for Amanda Palmer, of course not without its share of recent controversy, real or perceived based on differing viewpoints. 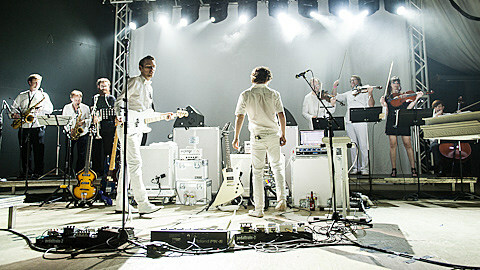 Everything seems to be resolved now, which is good news. 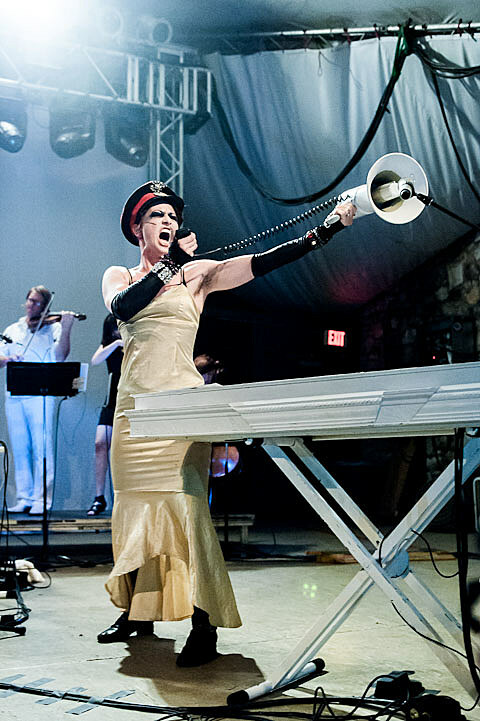 Outcome: all previously-volunteer musicians are now getting paid and Amanda’s new album just debuted at 10 on Billboard. 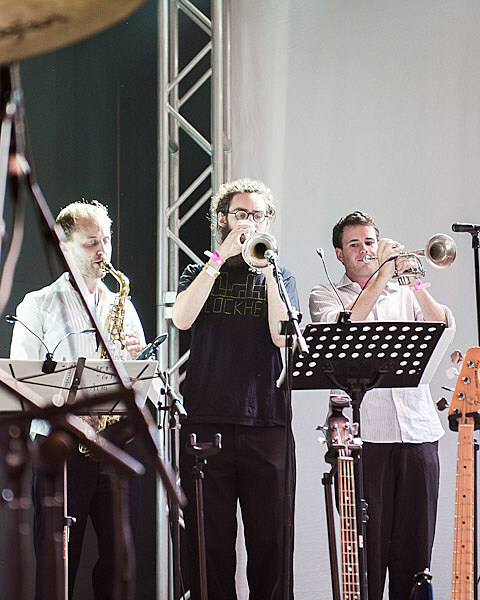 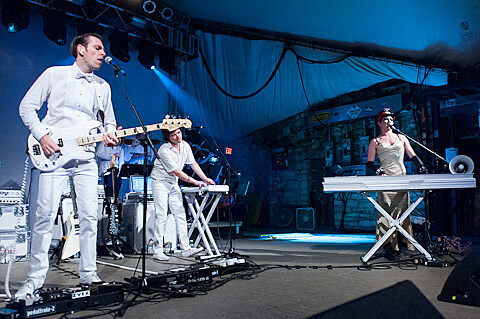 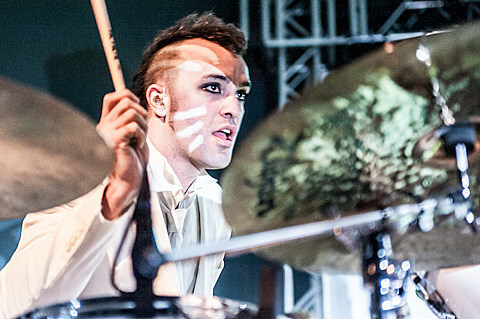 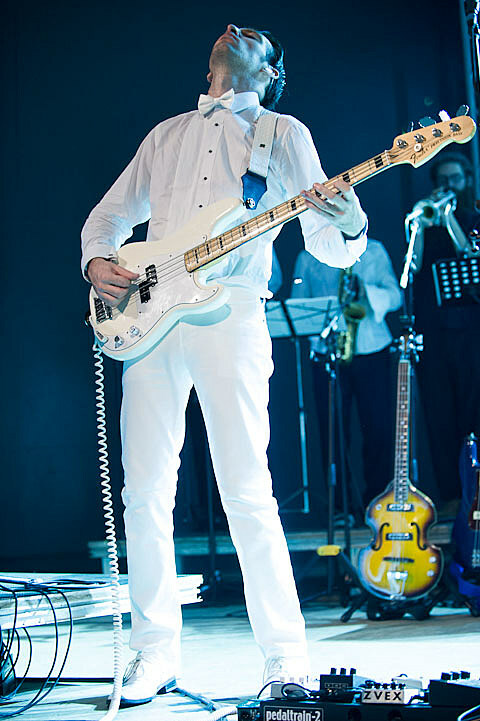 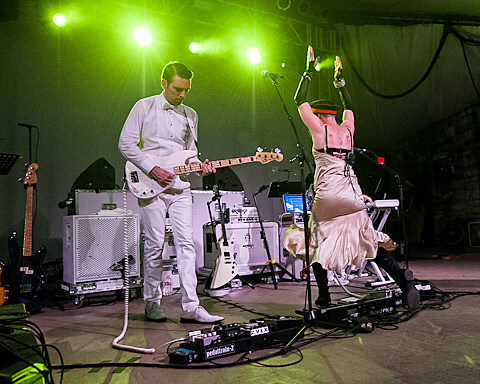 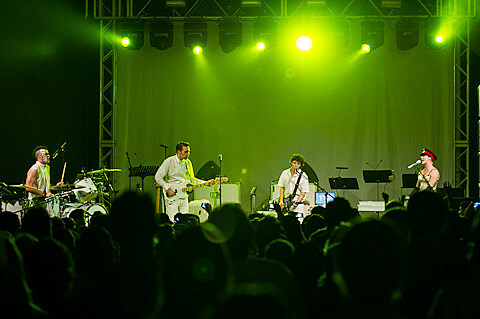 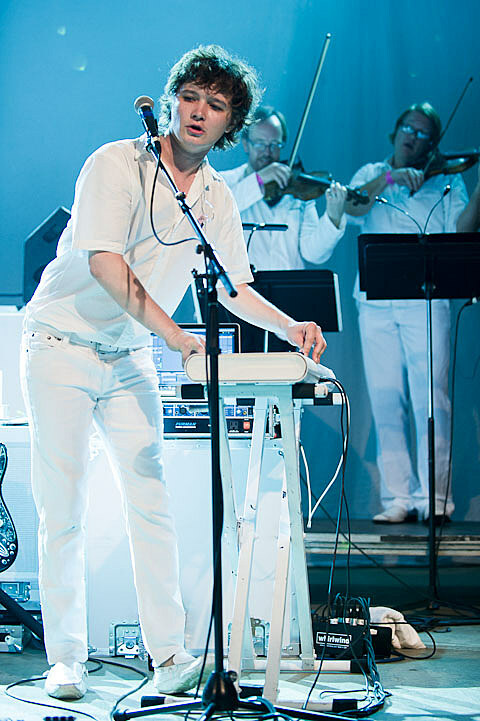 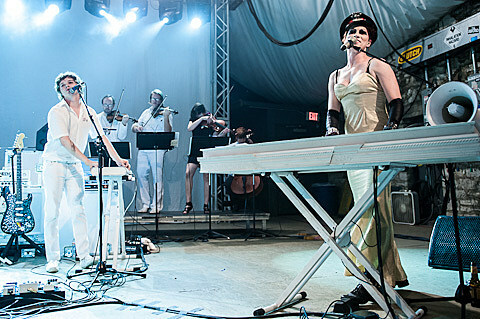 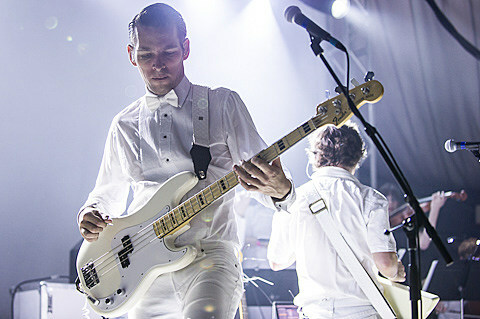 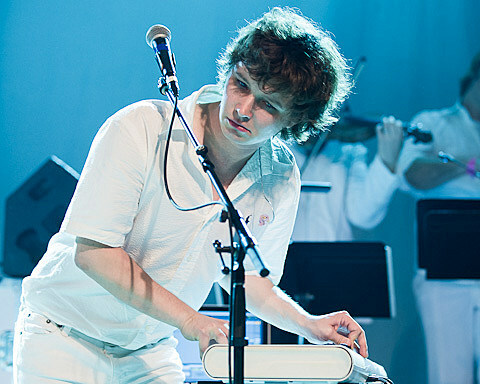 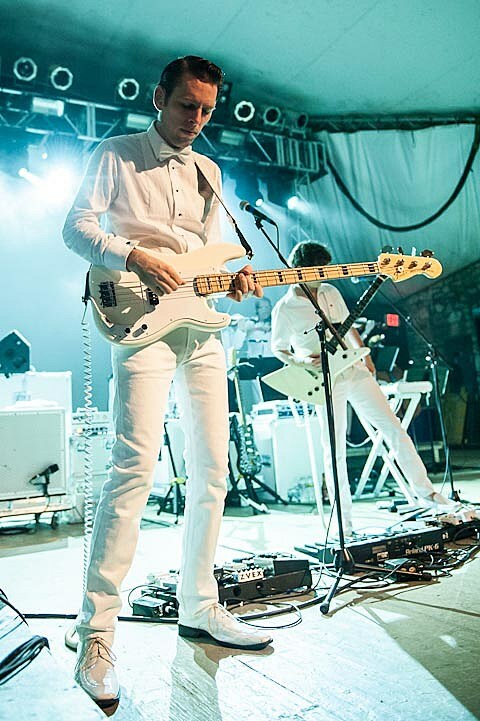 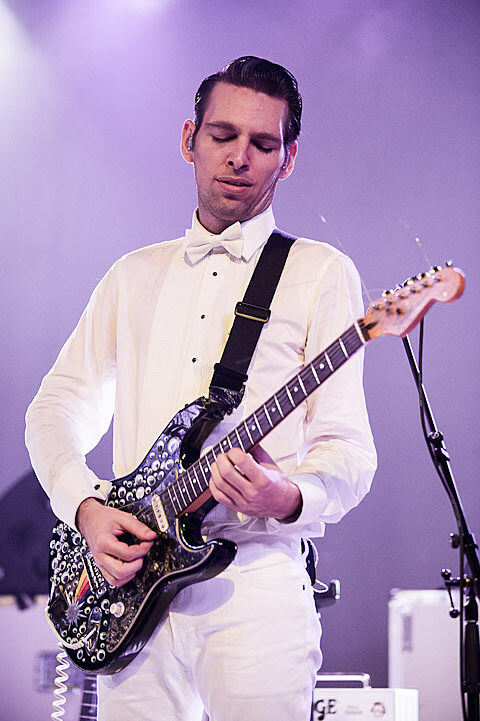 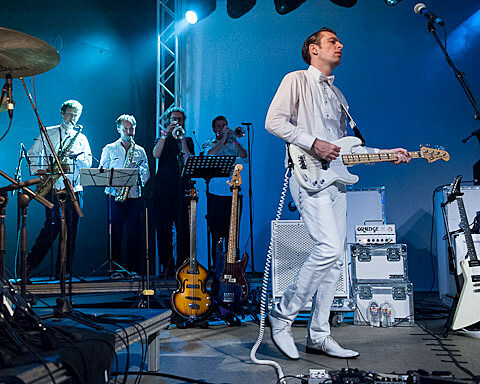 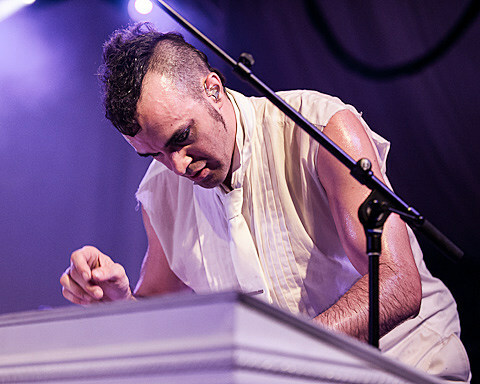 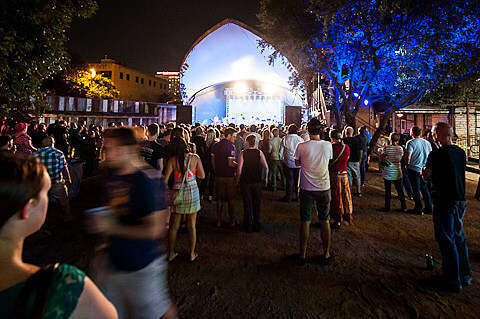 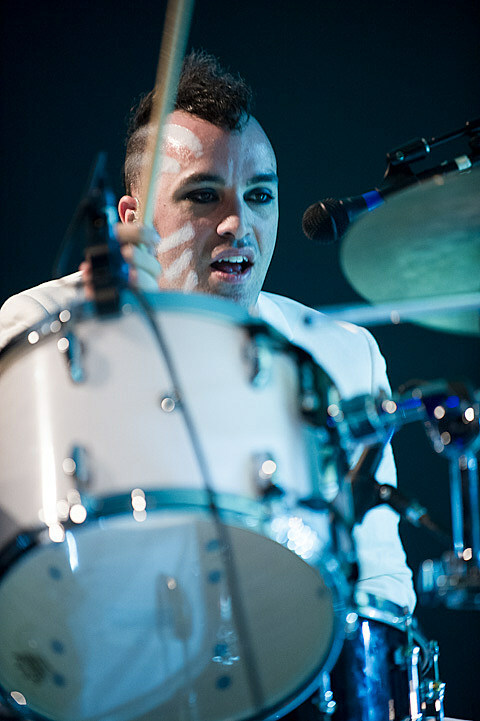 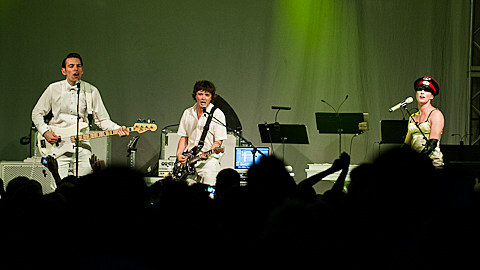 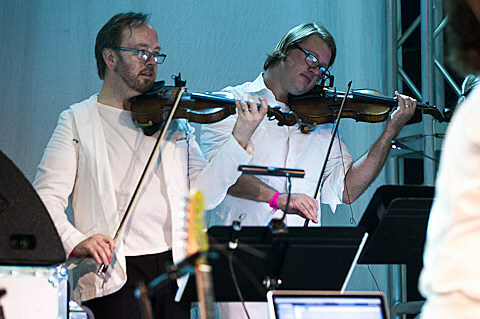 There were several highlights of this particular performance, including the new song “Bottomfeeder”, where Palmer donned a jacket with a parachute train and jumped into the audience. 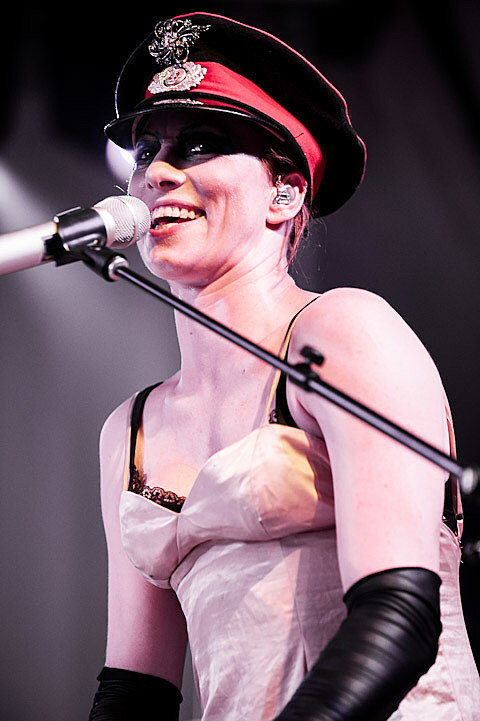 As she was passed singing all the while towards the back of the venue, so was the muti-colored fabric, fanning out to almost completely cover the audience. 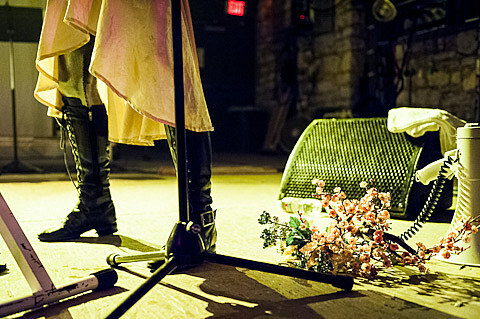 It was orchestrated so well that she returned to the stage not a beat too soon, completely enveloping the crowd and tying them all to the song both physically and emotionally. 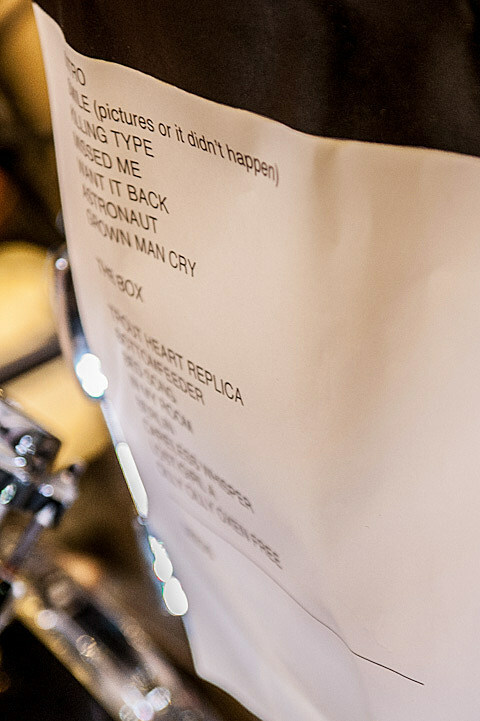 More pictures of Amanda and GTO, as well as the printed setlist and a list of upcoming tour dates, below….